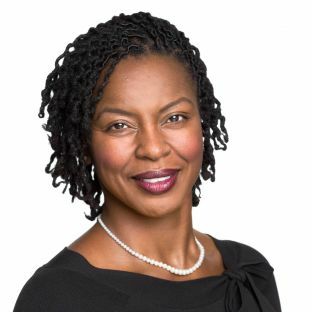 Charmaine Jackson Mercer recently joined the William and Flora Hewlett Foundation as an education program officer. She supports both our deeper learning portfolio of grantees and the program’s deep dive into equity. 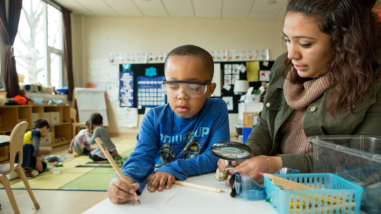 We spoke with Charmaine about her work at the foundation, and how she thinks we can make strong learning outcomes accessible to every child in public education. Where does deeper learning fit into your story? Teaching that engaged students in relevant and challenging assignments was a defining part of my own educational journey. In junior high school, my English teacher challenged us to interrogate things in our life to which we held an allegiance. The assignment came from his questioning of whether it was appropriate for eighth graders to pledge allegiance to the flag (or other things) without truly understanding what allegiance means. This teacher, who happened to be one of my favorites, encouraged us to question and challenge. Many of us had never been given permission to do so as early teens. It was refreshing and fun. We interviewed our parents and neighbors about the pledge. We considered other things or people in our lives to which we held an allegiance. Several weeks later, my classmates and I were still considering what it meant to pledge an allegiance. This was a defining moment in my life: I was becoming a critical thinker. My 10th grade English teacher engaged us in a multi-week project to build our understanding of colleges from soup to nuts. We analyzed a school’s mission and values; its admission requirements and acceptance rates; and, most importantly, whether or not it was the right school for us. The project required us to reach out to each college for the information and to create countless drafts of our personal statements, containing endless edits and feedback. By the time I was done, I was fully aware of the requirements and expectations of my desired schools. Though it didn’t go by a special name back then, these examples illustrate deeper learning at its best. They taught me content, helped me develop communication and analytical skills, and reinforced the need for reflection and revision. Best of all, they remain memorable more than 25 years later. What are the main challenges facing students in our nation’s public schools? Overwhelmingly, our nation’s public schools are designed to support an agrarian and industrial era, not the information and technological society of the 21st century. Everything from the school calendar to the ways we teach and assess for knowledge is built upon how our society functioned in earlier times. In addition, an increasing majority of our public school students come from low-income families. They are more likely than their wealthier counterparts to attend schools that have less resources, fewer rigorous course offerings, and more inexperienced teachers. These conditions nearly guarantee that the students attending these schools will be ill-prepared for the world that awaits them. We need to redesign our schools to prepare all students for jobs and careers that, in many cases, have yet to be developed. At the same time, we must do so in ways that meet the needs of the students in their own communities. Students, especially those who are furthest from opportunity, need to have meaningful ways to collaborate with their peers. This can and should look different in every community, while ensuring consistent quality and rigor. What can philanthropy do to help? Philanthropy is well poised to help address many of these challenges. Most directly, it can support schools, districts, and states seeking to provide these types of learning experiences. 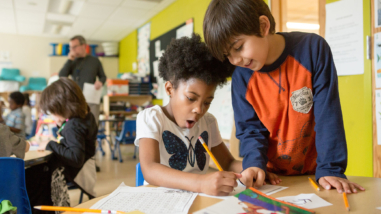 In addition, philanthropy can support a range of policies that underlie these learning opportunities, such as formative and summative assessments, consistent and high standards, or district-wide innovation. A complementary funding strategy would be to invest in community and grassroots organizations as a way of creating a demand for this type of teaching and learning. 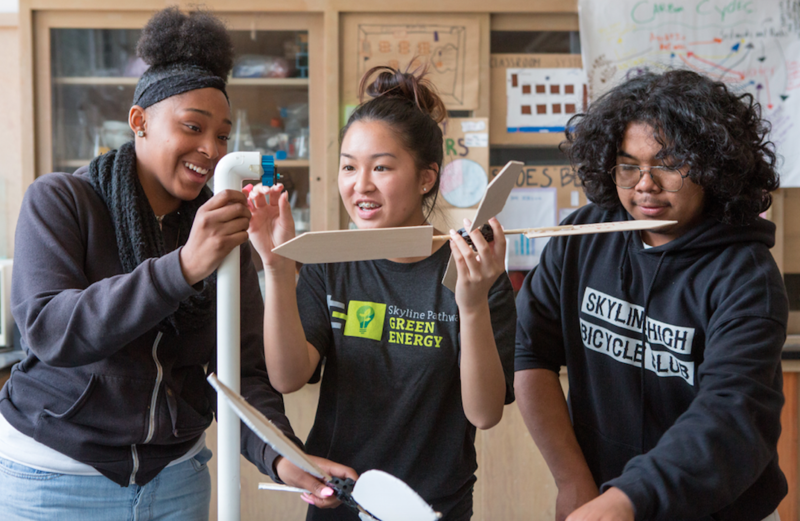 Lastly, philanthropy that is guided by goals of equity can ensure that students who have been historically underserved or who remain furthest from opportunity are not overlooked. What does it mean for equity to animate our work? The word “animate” makes me think of Pinocchio coming to life. If equity’s function is to give life to our work, then it is serving a central role by driving what we do and how we do it. For instance, when equity gives life to our efforts, I would expect to see the work we have been supporting around performance assessments and rigorous and engaging instructional materials become more prevalent in schools and districts serving greater number of English learners and students who are eligible for free and reduced lunch. I would also imagine that the leaders and staff of the organizations we support will increasingly be led by women, people under 50, and/or people hailing from diverse communities (racial and otherwise). 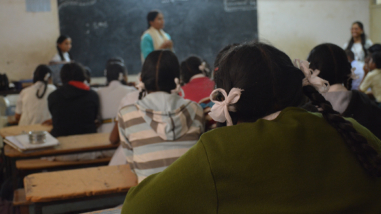 The content, focus of the work, as well as strategies employed for execution by these organizations would also surface and address issues of equity in education. Finally, I would expect to see respected and credible individuals and organizations who have previously not had a notable voice in our work be included in our work. When we diversify the beneficiaries of the work we fund, the leadership of the organizations we fund, and the consultants we engage to inform our efforts, our work will be embraced and supported by a larger and more diverse coalition, resulting in stronger and better outcomes. What are your goals for the Hewlett Foundation’s education strategy refresh this year? I have two goals for the strategy refresh. The first is to include a broad set of individuals, perspectives, experiences, and resources in the refresh process, which will strengthen and improve our work. As part of this process, it is important that we listen to, share our thinking with, and consult diverse groups, including grantees, experts, advocates, educators, leaders, parents and students. Second, I want to position equity in a more centralized role in our grantmaking. I believe if we are successful at the first goal, we will succeed with the second. Together, I believe this will have a significant impact on our process and help strengthen the work of our existing grantees, while welcoming the work of new partners.